What attracted me to Le Shrimp Ramen in the first place is not the fact that it is part of Paradise Group. It is the fact that this restaurant is fully-packed everyday during lunch. Le Shrimp Ramen must be doing something right, I decided to check out this restaurant. 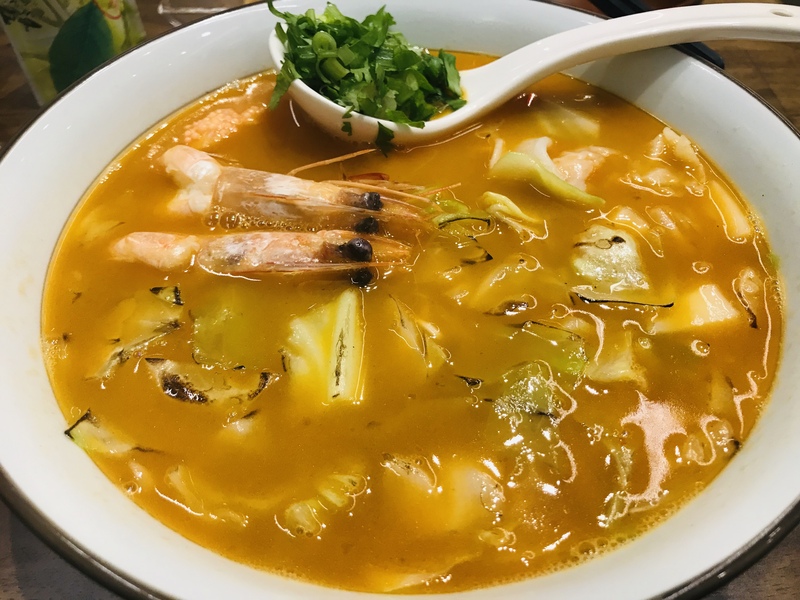 Le Shrimp Ramen features 3 types of shrimp ramen, infusing Chinese elelments into classic Japanese ramen. Le Signature Trio Shrimp Ramen 招牌三虾赤汤面 [$19], the name itself already sounds so luxurious. The broth does not disappoint, full of shrimp flavor from the homemade ebiko prawn paste. The noodles lack a little chewiness, but saved by the succulent prawn dumplings and fresh big prawns. The other variations are Big Prawns & Braised Pork Ribs Shrimp Ramen 大虾猪软骨赤汤面 [$17.90], Ebiko Prawn Paste Shrimp Ramen 鱼子虾滑赤汤面 [$14.90], Big Prawns Shrimp Ramen 大虾赤汤面 [$18.90], Prawn Dumplings Shrimp Ramen 鲜虾水饺赤汤面 [$13.90] and Braised Pork Ribs Shrimp Ramen 葱烤猪软骨赤汤面 [$13.90]. 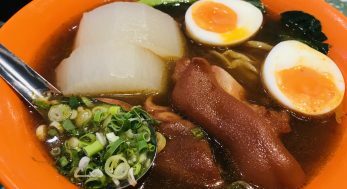 Red Groupa with Pickled Vegetable Tonkatsu Ramen 酸菜红斑鱼豚骨汤面 [$18.90] is a Chongqing-style ramen. The red groupa slices are fresh and succulent and the sourness of the pickled vegetables balances out the creaminess of the tonkotsu broth. 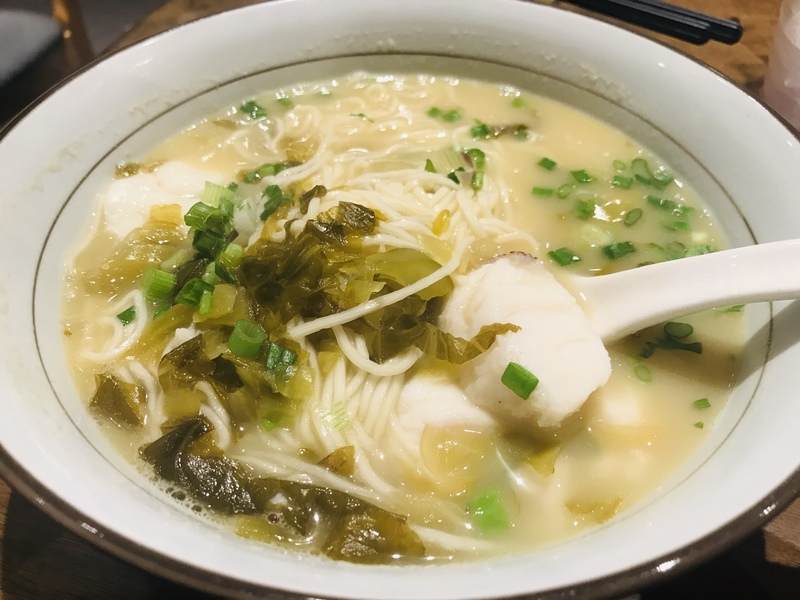 The soup main contain fish bones, do be extra careful. 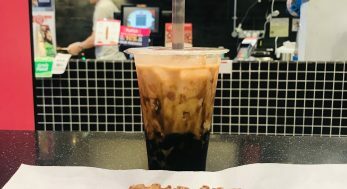 You can also order Red Groupa with Preserved Vegetable Tonkatsu Ramen 雪菜红斑鱼豚骨汤面 [$18.90], Prawn Dumplings Tonkotsu Ramen (spicy/non-spicy) 鲜虾水饺豚骨汤面（辣/不辣）[$12.90], Braised Pork Ribs Tonkotsu Ramen (spicy/non-spicy) 葱烤猪软骨豚骨汤面（啦/不辣） [$11.90], Pork Chop with Preserved Vegetable Tonkotsu Ramen (spicy/non-spicy) 雪菜酥肉豚骨汤面（辣/不辣）[$10.90] and Crispy Chicken Cutlet Tonkotsu Ramen (spicy/non-spicy) 炸鸡扒豚骨汤面（辣/不辣）[$10.90]. 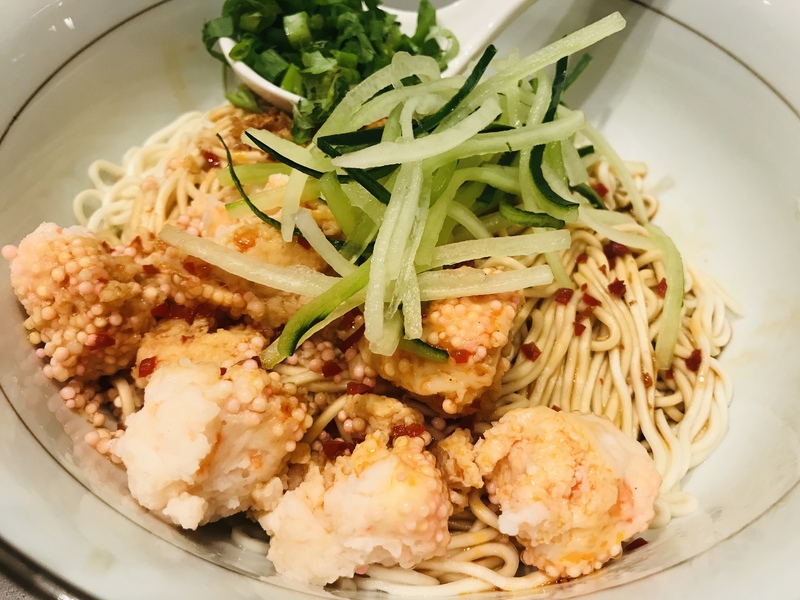 The Sichuan-style Ebiko Prawn Paste with Chilli Vinaigrette Ramen 香辣鱼子虾滑拌面 [$12.90] is for the spicy-eaters. 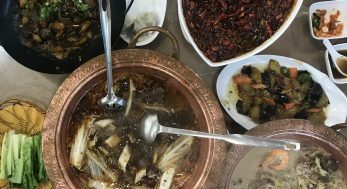 It is not only spicy, but numbing-spicy, staying true to the Sichuan taste. 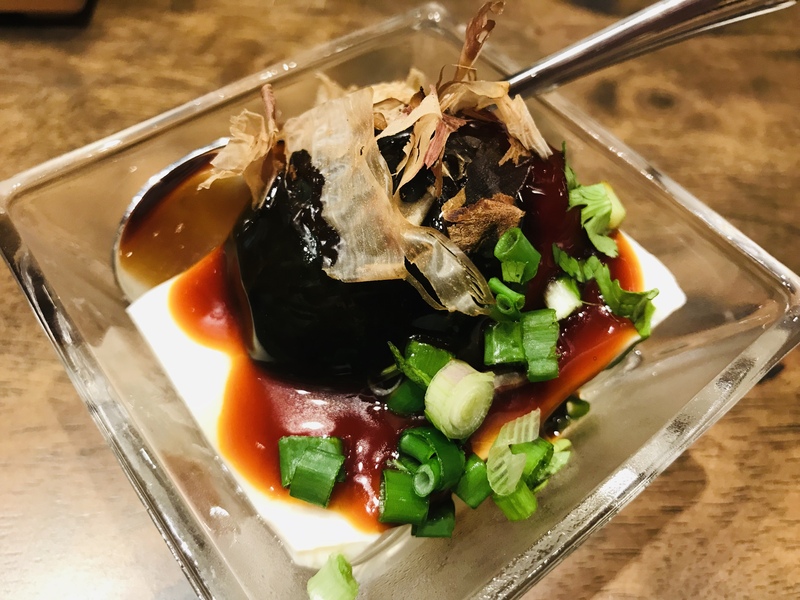 You can also order Prawn Dumplings with Chilli Vinaigrette Ramen 香辣鲜虾水饺拌面 [$10.90], Braised Pork Ribs Ramen 葱烤猪软骨拌面 [$10.90], Crispy Chicken Cutlet Ramen 炸鸡扒拌面 [$9.90], Dried Shrimp and Scallion Ramen 洋葱油拌面 [$6.90]. 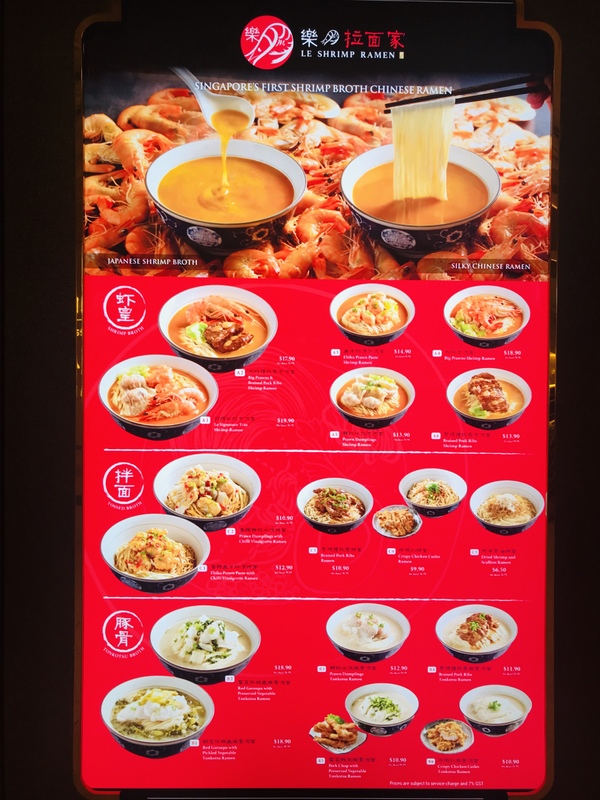 Besides ramen, Le Shrimp Ramen also offers a selection or appetizers and side dishes. I have tried a few and they are all pretty good. 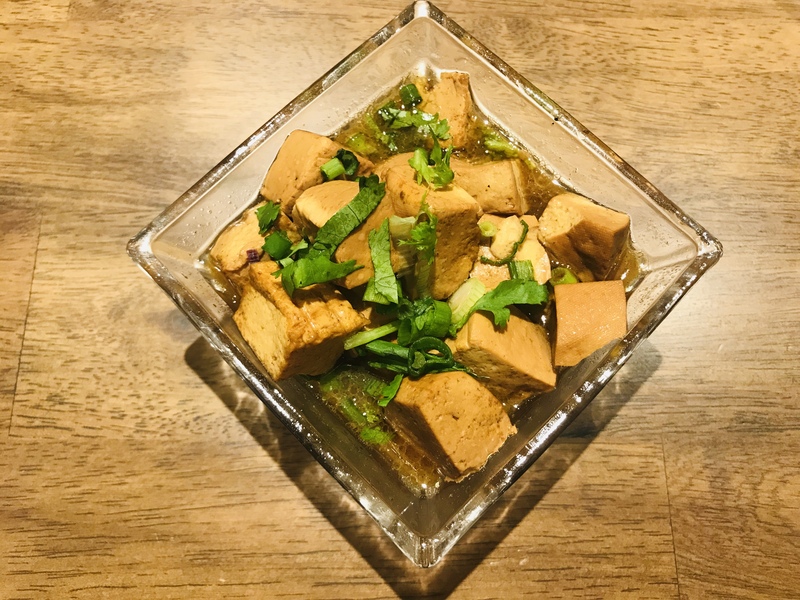 Chilled Silken Tofu with Century Egg 皮蛋豆腐 [$3] has a pretty strong taste but the silky tofu adds another taste dimension to it. I could eat Braised Beancurd in Tonkotsu Broth 豚汁卤豆干 [$3] all day long and not get sick of it. 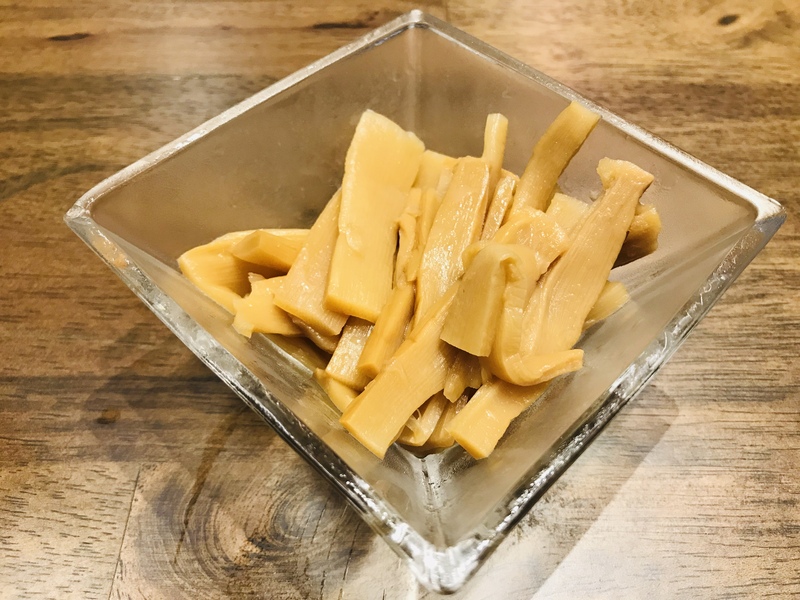 Seasoned Bamboo Shoots 味付竹片 [$3] are exactly the same bamboo shoots you would expect to find in Japanese ramen. Besides the usual bottled drinks and Coke, Le Shrimp Ramen also offers vinegar drinks. 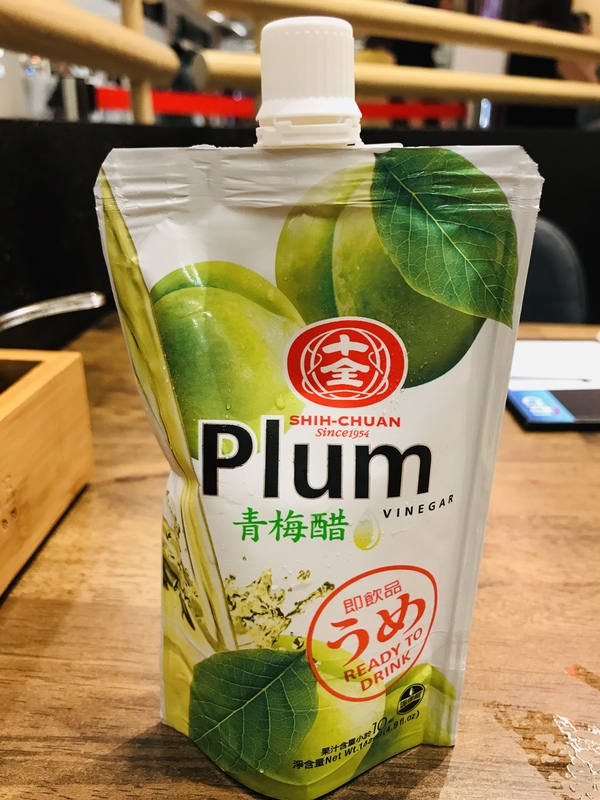 There are four flavors to choose from – Plum Vinegar, Peach Vinegar, Grape Vinegar and Apple Vinegar – at $2.30 per packet. They are a nice alternative to the usual drinks and they help in digestion too. 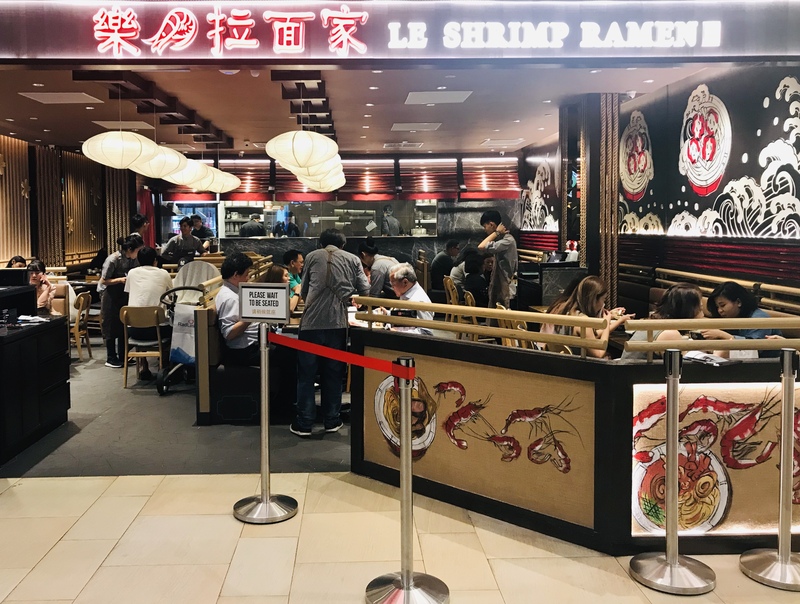 Three more outlets of Le Shrimp Ramen will be opening soon in Changi Airport T3, The Star Vista and VivoCity.